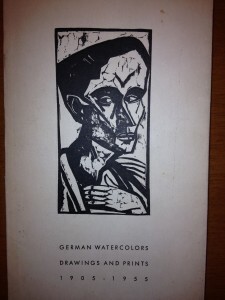 There have been occasional references during the Gurlitt affair to the possiblity that some of the paintings seized from Hildebrand Gurlitt's apartment had been exhibited in the United States. Details have been sparse. With a copy of the out-of-print catalogue from that exhibition now in hand, however, we can start to identify the scope of this U.S. contact—and thus the basis for possible claims against Gurlitt and/or the Federal Republic of Germany by those paintings' original owners or heirs. Until the disclosures by the Gurlitt Task Force are complete, it remains to be seen which.